Sew what's cooking with Joan! : Mini taco bites!! Superbowl! Seahawks! Yes folks ...MY TEAM IS IN!!! I couldn't be more excited! IN fact my entire family seems to have gotten into the spirit! 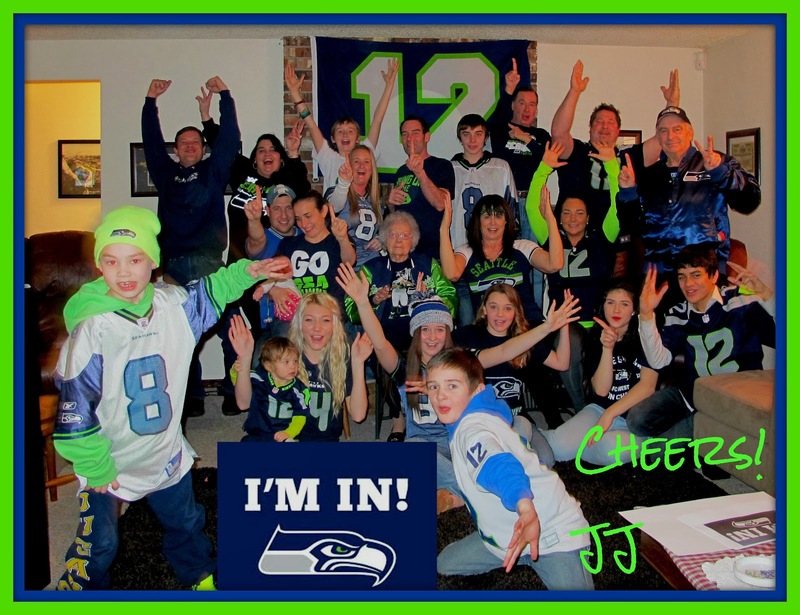 Everywhere I go in the Seattle area, I see flags, tee shirts and even houses decorated in the team spirit colors! Yes, WE ARE IN! Pic 1-My 93 year old Mother holding her Great Grandson (just afew hours old) both in their Seahawk gear! Pic 2- Amy, my daughter in law in the hospital with a custom made hospital gown I made for her the day before and her newborn son, Cooper Owen. Pic 3- My brother Bob with his Great Nephew Cooper! It's time to get serious! The big game is days away! We need a menu plan, we need recipes....Heck WE NEED A PARTY!!! We're closing in on Super Bowl XLVIII and Sunday's big showdown between the Denver Broncos and my hometown team, Seattle Seahawks. This game calls for a party filled with plenty of great finger foods, some Cheddar Bay Biscuits and a slow cooker filled with White Chicken Chili. And to keep you away from bags of frozen hot wings and tubs of pre-made dips and salsas, I'm giving you some new recipes and a wrap up on Friday of old favorite's that are perfect dishes for your Super Bowl party fare!! These should come with a warning label "Oh so easy". I promise they will fly off the plate. 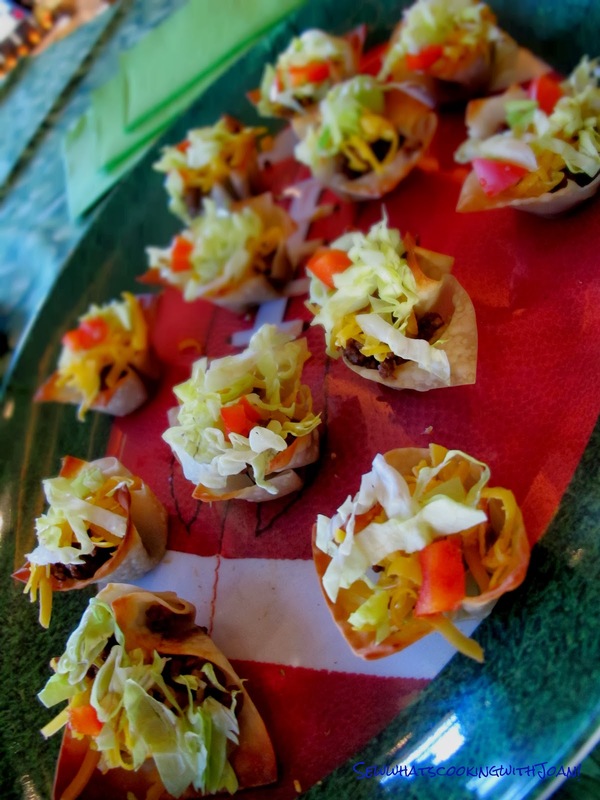 Wonton wrappers are turned into mini taco cups, cups that you can fill with anything you desire. Your favorite taco meat recipe or mine or just get a dry packet of Taco seasoning for a quick appetizer! This will be enough meat for 30-35 taco bites! Add the remainder of the ingredients, bring to a low boil and allow to simmer for an hour. 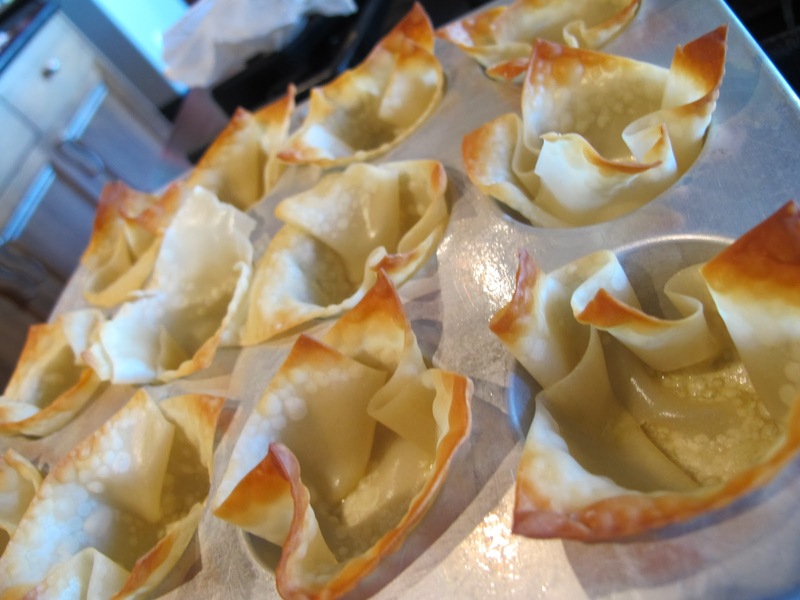 While your meat mixture is simmering, bake your wonton wrappers in mini muffin tins! 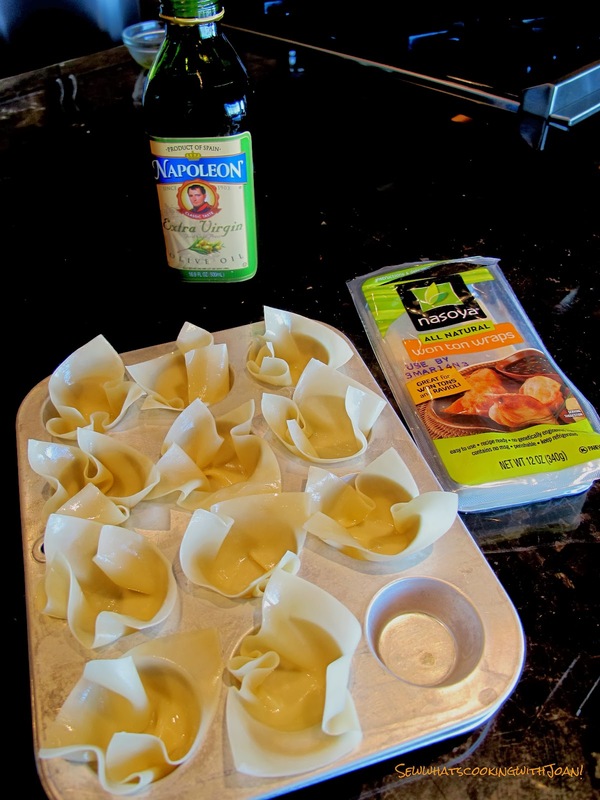 It's really easy to transform store bought Wonton wrappers into mini cups. (Won Ton wrappers are usually found in the produce department of your local grocery) Start by lightly brushing each side of the wrapper with olive oil. Then, just press the wrappers into the mini cups and bake for 5-7 minutes in a 350 F degree oven. Next, just fill the cups, with the meat mixture, grated cheddar cheese, shredded lettuce and a bit of tomato! Idea- For a Seattle twist, use Ahi Tuna or Smoked Salmon! Top with gruyere cheese, lettuce and tomato! I promise these will fly off the platter!